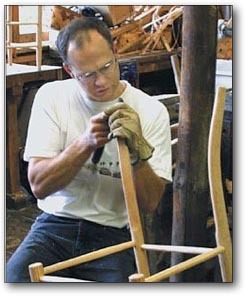 Our friends Kenneth and Angela Kortemeier are starting the Maine Coast Craft School. They are offering courses similar to Country Workshops' classes, and their store will offer a similar selection from the same makers. The mountains of western North Carolina have much to offer  inspiring natural scenery, some of the nicest weather in North America, a diverse and high level art and craft community, outdoor recreation  hiking, rafting and kayaking, trout fishing, golf and mountain biking  the famous Biltmore Estate and much more. Downtown Asheville is definitely worth a visit. 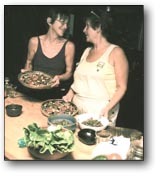 Our guests can also arrange for cooking classes with Louise Langsner. Students at Country Workshops have been complimenting Louise Langsner’s cooking for many years, often telling us that they come back for the food we serve. If you would like to enjoy those dishes at home, we invite you to share some time in the garden and kitchen with Louise. Learn to bake breads with whole grains and a sourdough starter, harvest fresh vegetables and herbs from the extensive gardens, and explore techniques and recipes for healthy menus from around the world. In response to many requests for a cookbook, Louise now has an ongoing internet blog that includes recipes from her garden and travels. Cooking with Louise can be scheduled for any of our class weeks. Instruction is approximately 4 hours each day, beginning after lunch. The tuition is $600 for 5-day courses, $725 for 6 days. This includes your shared room and meals  of course. Limited to one student during each tutorial. 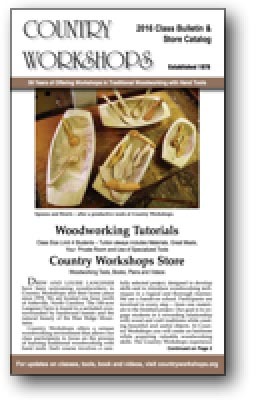 The classes taught at Country Workshops are limited to 4 students. Tuition includes your private room, our famous meals, materials and use of specialty tools for each project. Note: All our 2017 classes are fully enrolled. Please contact us if you'd like to be added to our waiting list. If you would like to download an electronic printable version of our latest bulletin in Adobe Acrobat format, click on the image at right.